Ho’omana Spa Maui, Destination Upcountry from Nokaoi Lifestyle on Vimeo. When visiting our wonderful Island of Maui there is truly something for everyone. Maui’s upcountry region is know to have the best of the best for an authentic Hawaiian experience. Go horseback riding or Zipline at the Pi’iholo Ranch. Visit The Ali’i Lavender Garden, Taste fresh local Farm to Table food at O’O Farm, and head to Ho’omana Spa Maui for some true Island style relaxation. Lawe I ka ma’alea a ka ‘ono’ono is one of our Olelo No’eau- Hawaiian Proverbs meaning To Acquire a Skill and Make it Deep. Our Ancestral wisdom keepers lived intentionally in conscious communion with the land, the spirit realms and one another. The safe and accurate passage of oral histories, genealogies, and traditions was a great responsibility placed from elder to child. It was the hope that with this knowledge each generation would use this wisdom to evolve the Ohana-Family to an existence greater than their predecessors. The ability to truly thrive was a product of tending one’s mana- life force in mind, body and spirit. In essence, this was seen as a caretaking of one’s internal flame of divinity. As each skill was learned whether it be fishing, kapa making, canoe carving, farming, or healing, it was not enough to just acquire it. The fruits of any labor would be greater if infused intentionally with mana and prayers for ancestral support. Harvests would be richer, crafts finer, and the catch more abundant. This deepening of a thought, skill or action would also be overseen in subtle supportive ways by the kupuna-elder. For example, one of the ways that an elder may have asked how one was doing or feeling was by using the phrase- Pehea ka la? or Pehea kou piko? This means, How is your light shining? or How is your connection? This is a far deeper question requiring an even deeper level of contemplation. It was not asked in order for the elder to have understanding of the response but that the pupil would search their own heart for the answer. 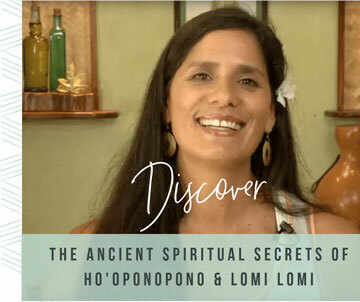 These concepts offered through ancient wisdom are inviting us to celebrate the deepening of our gifts, our intention, our creation, and our connection.